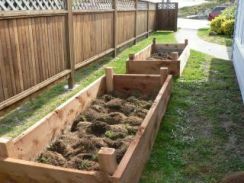 Vegetable Garden Soil - Why is your garden soil important? Is your vegetable garden soil healthy? Why is soil important? Your vegetable garden soil supports your vegetable plants by providing warmth, air, moisture and nutrients. Soil particles, which are mineral materials broken down into particles smaller than pebbles. Organic matter and humus, this includes formerly living creatures mainly plants in various stages of decomposition. Only half of the soil is solid particles, the rest is a combination of air and water. Air space in the soil allows oxygen and carbon dioxide to move in and out of the soil, which allows plant roots to grow. Encouraging worms is a great way to keep your soil healthy as they will aerate the soil. Water is necessary for the plants to grow. If your soil is too wet is can be harmful to the soil and plant growth. Water saturated soil prevents the oxygen from getting to the roots. When the soil has the right amount of moisture, the water will encase the soil particles and dissolve them. This process allows nutrients to be absorbed by the plant roots through the water. Healthy soil has a balance of soil particles, organic humus, water and good air circulation. All this allows the plant roots to absorb the nutrients needed to grow well and produce health fruit, pods, and leaves. 1. What's your soil type? There are 4 main types of soil - clay, silt, sand and loam. Each has it's benefits and disadvantages. Learn more about each type. 2. What is your soil pH? Checking the pH of your garden soil will give you an idea of how acidic or alkaline the soil is. Most vegetable plants do best in a neutral pH. Learn how to check your soil pH. 3. Does your soil need added nutrients? Soil fertilizers are used to increase your soil fertility. The 4 main soil fertilizers are nitrogen, phosphorus, potassium and calcium. 4. Does your soil have sufficient organic matter? Soil amendments are used to improve the texture of the soil. Manures, compost, peat moss, and seaweed are some great items you can dig into your existing soil to build up the fertility. Learn more about soil amendments. 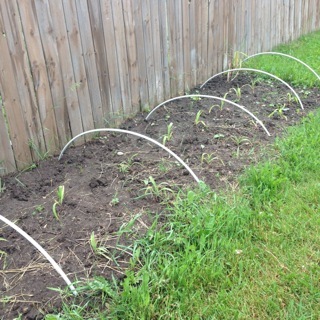 Please take the time to subscribe to my monthly newsletter "Vegetable Gardening Hints" for easy tips and ideas to start your garden and have healthy vegetable garden soil.